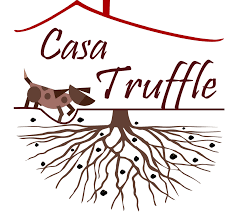 Casa Truffle™ was founded in Alba, Italy. Truffles are one of the world’s most desired delicacies, and the black and white truffles from Alba are among the best and most coveted in the world. Through the efforts of Casa Truffle™, Alba truffles and truffle products will now be available to the U.S. market. Chef Ferrell Alvarez and Ty Rodriguez formed a lifelong friendship and together they instill the words passion, integrity and progression into all facets of their life and careers at the Rooster and the Till. Most importantly, they understand the sense of community a restaurant can provide a neighborhood and even a city. The support for their neighborhood and true respect for their staff, all play into the very fiber that is Rooster & the Till. Keep Saint Petersburg Local is a non-profit organization, affiliated with the American Independent Business Alliance (www.amiba.net), working to build a thriving local economy and a unique community. They do this by nurturing connections for and acting as the voice of locally-owned, independent businesses and by raising awareness of the importance of buying local. Worden Farm is an 85-acre certified organic family farm in Southwest Florida, founded and actively run by Chris Worden, Ph.D. and Eva Worden, Ph.D.
Their produce is 100% USDA-certified organic and available directly to the local community in season, Fall through Spring, at farmers markets and through a community supported agriculture (CSA) farm membership program. Worden Farm's tours and events educate the public, and an apprentice program and agricultural consulting services help aspiring and fellow farmers to succeed in organic crop production and marketing. Mastry’s Brewing is proud to be the first craft brewery and tasting room on St. Pete Beach. Taking traditional styles and combining influences from exotic locales, Mastry’s Brewing is elevating the beach beer experience with selections like Jenna’s Morning Coffee, a chocolate coffee porter, and their wildly popular Hefeweizen. They offer one of a kind, hand crafted and naturally preserved foods such as jams, pickles, beer mustards, sriracha and sauerkraut. They specialize in interesting flavor compositions and utilize only the freshest produce. During Florida farming season they work closely with local farms and highlight many seasonal limited small batch preserves. Their products are preserved using traditional methods so you won't find any artificial ingredients of any kind in our jars! They use our Pure Sea Salt in their Salted Caramel Apple Jam. A modern New-American restaurant, friendly neighborhood hub and golfer’s retreat – ¡CUATRO blends its identities as seamlessly as it combines international culinary heritages with unexpected flavors that sizzle on the menu. They only do one thing – and they do it really well: deliver premium, brand name gift experiences for companies that want to reward their top performing employees or customers with an on-site gift event. They are the gift experience experts. We are included in their Local Amenities Box which are premium gifts handcrafted by local artisans and wrapped in a destination inspired box.